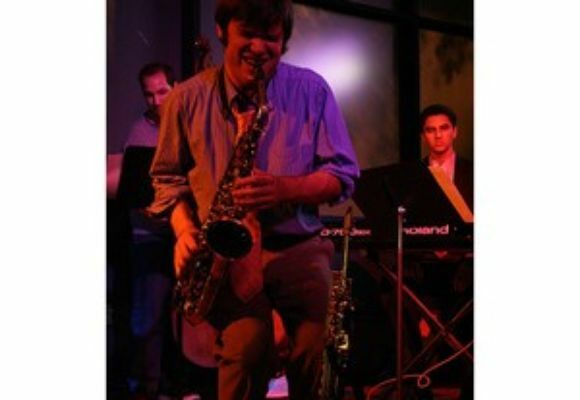 Mark Zaleski is a woodwind specialist, performing professionally on all saxophones, clarinets, and flutes. He formed his first professional band out of Boylston, MA at the age of 13. Called the Eastern Jazz Project, the group released a CD and was nominated for the Worcester Magazine Wormtown Music Award in the category of Best Local Jazz Act. At the age of 18 Mark was one of six people in the country to be selected to study at the Dave Brubeck Institute in Stockton, CA. During his time at the Institute he performed at the Monterey Jazz Festival, the Dakota Jazz Club in Minneanapolis, MN, Yoshi's Jazz Club in Oakland, CA, and the Library of Congress in Washington, DC among other venues around the country with the Brubeck Institute Jazz Sextet. Mark has experience performing with such jazz luminaries as Bennie Maupin, Mic Gilette of Tower of Power, Robin Eubanks, Eric Harland, Ndugu Chancellor, Christian McBride, and Dave Brubeck. In October of 2006 he performed with Ian Anderson and Jethro Tull on bass clarinet and clarinet in a month-long national tour called "Ian Anderson plays the Orchestral Jethro Tull." Mark currently studies at the New England Conservatory of Music and studies with Jerry Bergonzi and Charlie Banacos and is also on adjunct faculty at Quabbin Regional High School in Barre, MA. You can catch the Mark Zaleski Quintet performing in Boston area regularly.